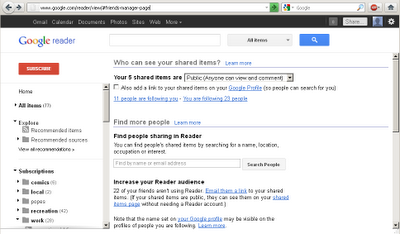 Operation Ducksledge: Google Reader Sharing: Gone but not forgotten? Google reader recently rolled out some rather big updates, much to the horror of their users. The most controversial move was the removal of the social aspects so they could be replaced by google plus. 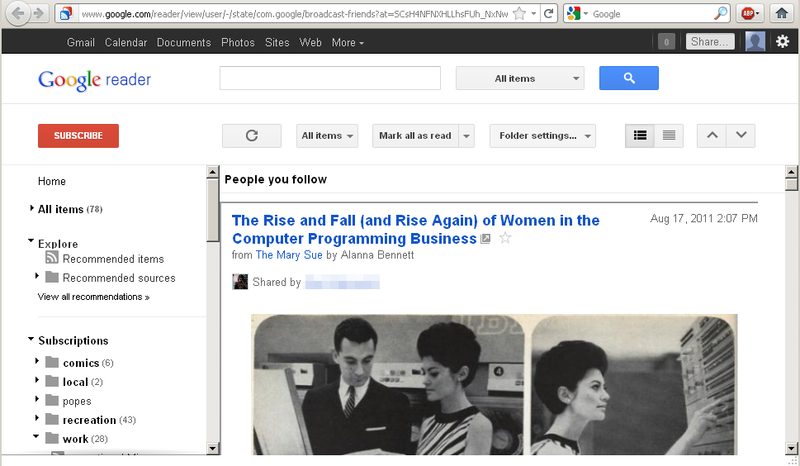 In their haste to clean out google reader, it looks like they just hid the old menus without actually removing them. 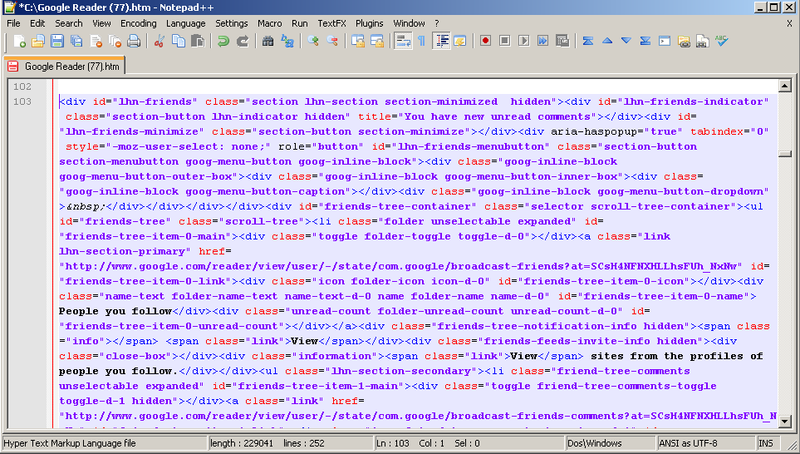 If you have a look at the page source, everything is still there - your friends list, your shared items, the comments, everything. 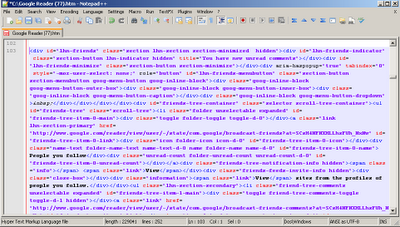 Just add #friends-manager-page to the end of the url, you're back at the disabled pages! 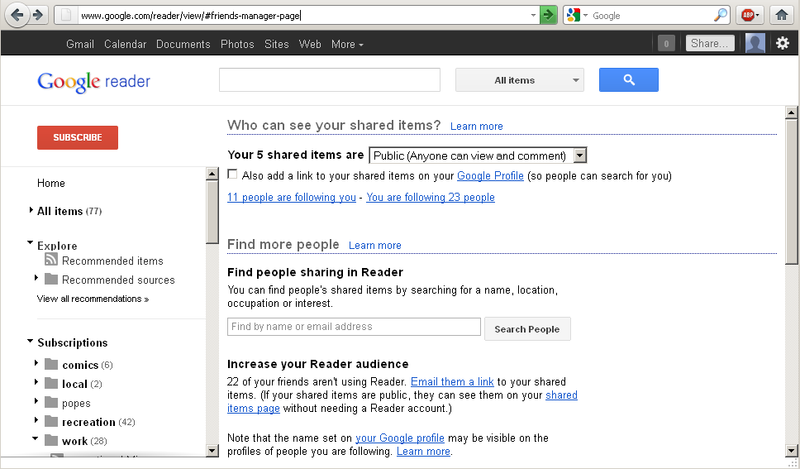 IF you delve a little deeper, you can get to each of your friends feeds or the list of all shared items. Everything works. All your old posts, every single link, every friends page, all there waiting for you...the only thing you can't do is share new items. It all fits the new interface perfectly, and I find it strange they haven't removed anything yet - are they leaving everything completely untouched in case they change their minds, or are they planning on properly integrating the google+ sharing into reader? One things for sure: It could stand proper integration. 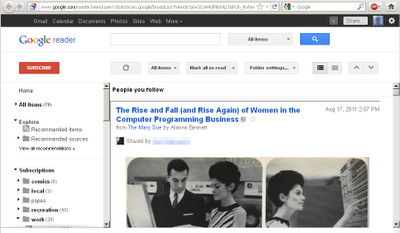 With the google+ system, you can share posts with your friends, but not read posts others have shared. If google get it together and integrate google+ properly with reader - like, say, an interface that works very similarly to the old post sharing/reading - then I'll be pretty happy.